WE HAVE NOW ADDED DIRECT TO GARMENT PRINTING ON DARK OR LIGHT GARMENTS. WE CAN ADD RHINESTONES ON TOP OF ANY DESIGNS IF YOU PREFER. JUST SEND US YOUR PICTURES OR ANY ARTWORK AND WE CAN GIVE YOU PRICING!! 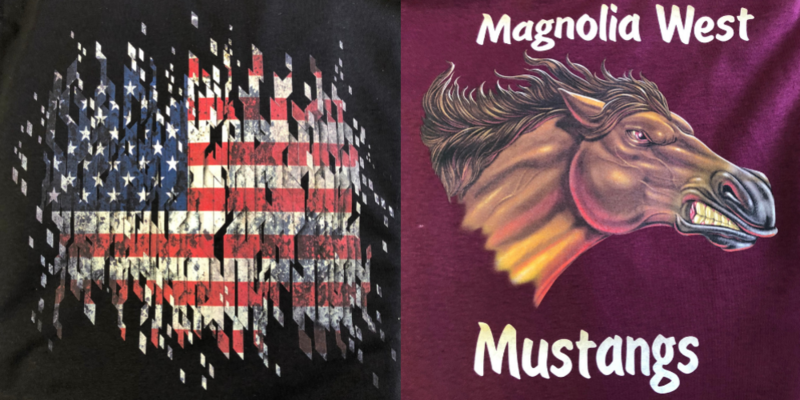 2 Dazzle U offers custom rhinestone heat transfers as well as rhinestud, spangle and sequin bling motifs that can be applied to t-shirts, hats and much more. All of our heat transfers are original designs. We have a wide variety of styles and colors to choose from and we offer custom bling designs made with your image or special text. We offer low minimums, fast turnaround times, great quality, excellent customer service and competitive pricing. Add extra bling to all your t-shirts, hats, clothing, accessories and more! Browse through the categories on the left for our stock designs or click here to request a custom design with your image, text or company logo. Let us convert your image into a custom rhinestone, rhinestud, spangle or sequin heat transfer design! Our rhinestone, spangle and sequin hot-fix bling iron on transfers are made with high quality materials and can be purchased with or without t-shirts. We also sell heat transfer supplies! 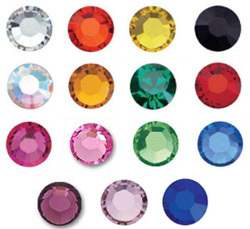 Note: We have a 6 piece minimum order policy on rhinestone heat transfers. No Minimum Quantity on Direct To Garment Orders. Indemnity Clause: Clients guarantee they have legal rights to use all logos, words, symbols, designs or art as their submitted artwork. Clients also agree to indemnify and hold customrhinestoneshirt.com, 2 Dazzle U Custom Rhinestone Designs and it’s parent company Country Tyme Trophies and its agents, officers, representatives and employees harmless for all damages as well as attorney’s fees spent with regard to any and all legal actions which result from the production of any artwork submitted by said client.